Vimy Ridge ran almost 12km north-east of Arras. The Germans occupied Vimy Ridge in September 1914 and their engineers immediately began to construct a network of artillery-proof trenches and bunkers. These were protected from infantry attack by concrete Machine Gun Posts. 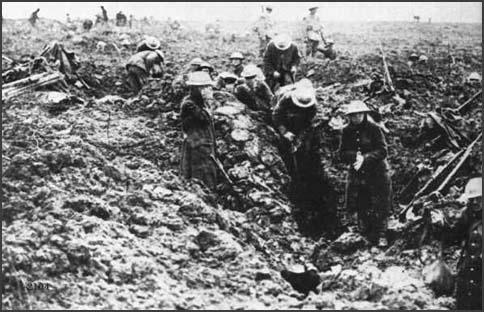 The French Tenth Army responded by digging its own system of trenches at Arras. Repeated French attempts to take Vimy Ridge cost about 150,000 casualties between May and November 1915. Although the French were able to take the villages of Carency, Neuville St Vaast and Souchez, Vimy Ridge remained under the control of the Germans. As part of the general reorganization the British took over the Arras sector in March 1916. 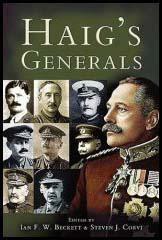 British corps commander, Lieutenant-General Sir Henry Wilson, immediately planned a large-scale counter-attack, but this was vetoed by his commanding officer, Sir Douglas Haig. The Canadian Corps, commanded by Lieutenant Sir Julian Byng, replaced the British at Arras in the winter of 1916. In December 1916 Robert Nivelle replaced Joseph Joffre as Commander-in-Chief of Allied forces on the Western Front. Nivelle immediately began to plan a major offensive on the German front-line. An essential part of what became known as the Nivelle Offensive, was an attempt to capture Vimy Ridge. As the ridge was 60 metres high, Nivelle argued that if Allied forces could control this area, they would have a commanding view of the German activities behind the front line. On the evening of 8th April, 1917, 30,000 members of the Canadian Corps began to move to the front line. At 5.30 the next morning, 2,800 allied guns began pounding the German trenches and soon afterwards the Canadian infantry went over the top into No-Mans-Land. Supported by a creeping-barrage, the 1st Division, led by Major-General A. W. Currie, captured the Zwolfer Graben trench system within 30 minutes. After another hour had passed, the intermediate line south-east of Thelus was also under Canadian control. Major-General L. J. Lipsett and the 3rd Division took the huge Schwaben Tunnel. However, several concrete Machine Gun Posts had survived, and these were causing heavy casualties. The Canadian 4th Division was especially badly hit. One battalion, the 87th, incurred losses of over 50% in less than a few minutes. In an attempt to stretch German defences, General Hubert Gough and the British Fifth Army launched an attack further south. Even though Gough used tanks in the attack, it was repulsed by the Germans at Bullecourt. The Australians, also took part in this operation and suffered its worst day's losses on the Western Front. The Canadians was still making good progress and by 12th April they were firmly in control of Vimy Ridge. Forced to the bottom of the hill, the Germans were unable to launch a successful counterattack. That night, under the cover of darkness, the Germans withdrew from the area. By the time the Arras offensive was halted at the end of May, the British had suffered heavy losses: First Army: 46,826; Third Army: 87,226; Fifth Army: 24,608. The Canadian Corps lost a total of 11,297 men killed, missing or wounded. Despite British failures at Arras, the Canadians had broken through the most formidable portion of the German line. The capture of Vimy Ridge was a great tactical success. The Canadians had seized ground of great military importance, and inflicted heavy casualties on the German Army. I have just returned to the telegraph base from seeing as much as the opening phase of the battle as it is possible to see of the action on a wide front. Details of the progress of the fighting after our first assault are yet lacking, but we know that we have broken the German lines everywhere and the prisoners in good numbers are already coming in. It was like the days of the beginning of the Battle of the Somme again, and the Battle of Arras, if that is what it is to be called may prove no less disastrous to the Germans. Such a battle as has begun this morning cannot be fought without heavy casualties. We must be reconciled to that in advance. But the enemy will suffer more than we, and we shall break him here as we broke him on the Somme. (2) Gus Sivertz, 3rd Canadian Division, took part at the attack on Vimy Ridge. I looked ahead and saw the German front line crashing into pieces; bits of men, timbers, lumps of chalk were flying through the air, and, blending with the shattering wall of fire. We didn't dare lift our heads, knowing that the barrage was to come flat over us and then lift in three minutes. That queer empty stomach feeling had gone. I don't think anyone was scared instead one's whole body seemed to be in a mad macabre dance. I guess it was perhaps the most perfect barrage of the war, as it was so perfectly synchronized. Then suddenly it jumped 100 yards and we were away. Instead of a German trench there was only a wide, muddy depression, stinking of explosives. Then Lieutenant Christie was hit and just pitched forward, dead. When I straightened up, I tried to hurry to catch up with my group. I tripped on some snarled barbed wire and fell, just as a big Hun shell screamed into the muck alongside me. I was knocked over, and in rising, got a terrific slam on the top of my head. It rammed my tin hat down to my ears. I ran in a stumbling sort of way to get up with my buddies. It's terrible to be alone one feels that all the enemy guns are pointed at one and one is naked. So I rejoined my group. There wasn't much to shoot at - Heinies were coming back with their hands up, and his counter-barrage wasn't so hot. The man next to me smiled and leaned over to me to say something. I think he meant to say 'It's going fine', or something like that. He put his mouth almost to my ear, there was such a helluva noise going on. He never finished the sentence, never made a sound, just pitched on his face. of a German trench at Vimy Ridge.